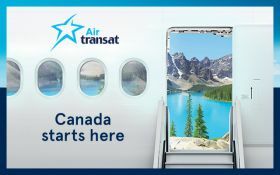 Canada Starts Here with Air Transat. Fly direct from Dublin to Toronto with return fares starting from just €348pp. Air Transat provides a comfortable and enjoyable flight with excellent value economy fares including one piece of checked baggage up to 23kg, in-flight meals, snacks, soft drinks and entertainment.